Thanks for visiting my web site: Search Ann Arbor Area Homes and contacting me about your move to Saline, MI As a mother of five children who has been in the Saline School System for many years, I can tell you I am very pleased with the education my children have received. Here are several web sites you might want to check out, since you are considering moving to Saline. Also I have written many blog posts about Saline, MI and our schools. You will especially enjoy the one where Saline Schools were ranked in the top 16% of the nation. The City of Saline was also ranked in the Top 100 Best Places to Live by Money Magazine. You mentioned in your email that you would like your two children to be able to walk to school. We have two new subdivisions in Saline, called Centennial Park and Centennial Farms. Both of those are within walking distance to the new Heritage School. I have included three homes that I think you would be interested in and that your children would be able to walk to school. 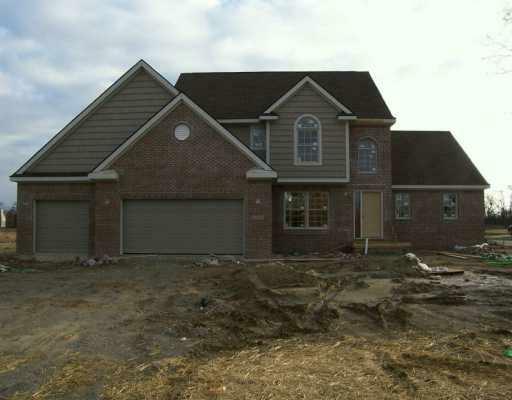 1035 Bicentennial, with 3558 square feet, includes a finished basement. This home is priced at 399,900. Walk to Heritage School. Views of protected wet lands, walk-out LL with 3rd bath. Two story great room with soaring ceilings. 6439 Wilson, with 2404 square feet, priced at 389,700. You can still pick your colors and cabinets. Walk to Heritage School. First floor master bedroom suite, 3 car garage, and two story family room. 9 ft basement walls for finishing off at a later date. 6176 Wilson, with 2447 square feet, priced at 339,900. Plus a finished basement. Walk to Heritage School. Professional landscaping, and a view of the pond are one of the highlights of this home. First floor study, formal dining room and generous size bedrooms. This home is really priced very well. I believe these homes fit your price point, square footage requirement and the children being able to walk to school. Before your trip to Saline, next weekend, I am including my list of preferred lenders. Please call any or all of them. I can promise you great customer service and many programs to choose from. I have worked with each one of the lenders over the years and can recommend them without hesitation. I look forward to meeting you both. We will have a good time, as I love to show off my home town and community. I know you will find Saline to be a warm, and welcoming community. My husband and I like to joke that Saline is the most doting, family community in Washtenaw County. I will pick you up at the Marriot at 10:00 on Friday the 29th and we can start our tour at that time. Please send me your top 10 MLS numbers at least 48 in advance so I can confirm they are still available and set up the tour. Don’t hesitate to me if you have any questions. Search other homes at this wonderful site with Google satellite images, Google maps and many photos.